In many pipe tunes you will see a first and second time bar. These are used when a small change in the music is needed (usually at the end of a part going into the next section or the second part of a tune.) 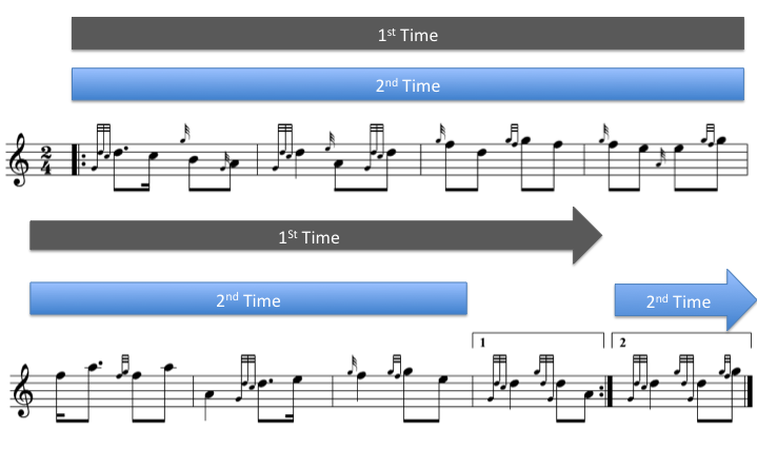 You play the first time bar the first time through the tune and the second time bar the second time through the tune as shown below. Sometimes, it can be an entire line and not just a bar like shown below. 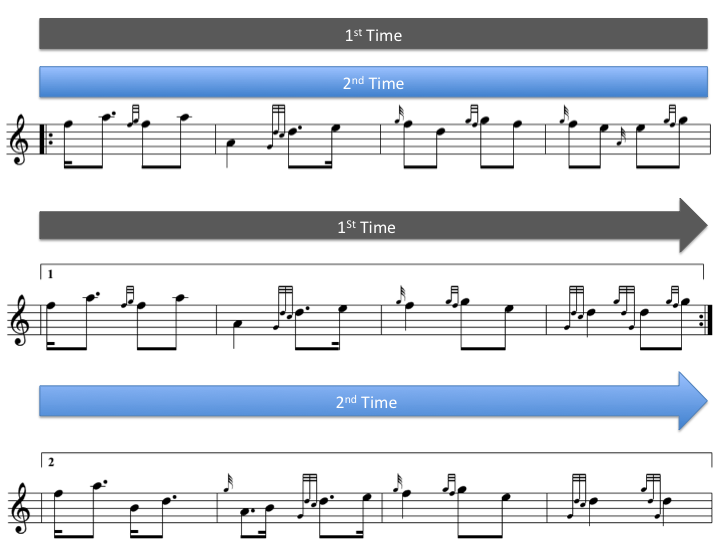 These first and second time bars are used in bagpipe music to save space, otherwise tunes would take up multiple pages and appear longer and more complicated than they actually are.